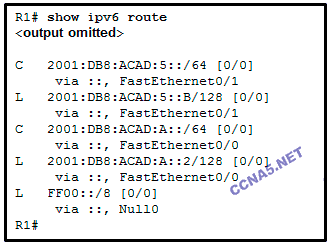 What type of IPv6 address is required as a minimum on IPv6 enabled interfaces? Refer to the exhibit. What is the purpose of the highlighted field in the line that is displayed from the show ip route command? It indicates that this is a directly connected route. It indicates that this route has been deleted from the routing table. It indicates that this route was learned via EIGRP. It indicates that this is a default route. Refer to the exhibit. PC1 attempts to connect to File_server1 and sends an ARP request to obtain a destination MAC address. Which MAC address will PC1 receive in the ARP reply? Which command is used to configure an IPv6 address on a router interface so that the router will combine a manually specified network prefix with an automatically generated interface identifier? What address changes as a packet travels across multiple Layer 3 Ethernet hops to its final destination? A network administrator is implementing dynamic routing protocols for a company. Which command can the administrator issue on a router to display the supported routing protocols? What is one feature that distinguishes routers from Layer 2 switches? Switches use tables of information to determine how to process data traffic. Routers do not. Switches move packets from one physical interface to another. Routers do not. Routers support a variety of interface types. Switches typically support Ethernet interfaces. Routers can be configured with IP addresses. Switches cannot. When a computer is pinging another computer for the first time, what type of message does it place on the network to determine the MAC address of the other device? 26. What route would have the lowest administrative distance? 29. Which software is used for a network administrator to make the initial router configuration securely? PC A sends a request to Server B. 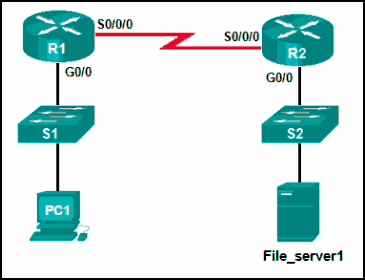 What IPv4 address is used in the destination field in the packet as the packet leaves PC A? 32. 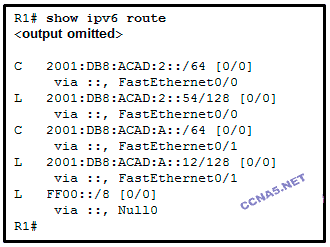 What command will enable a router to begin sending messages that allow it to configure a link-local address without using an IPv6 DHCP server? 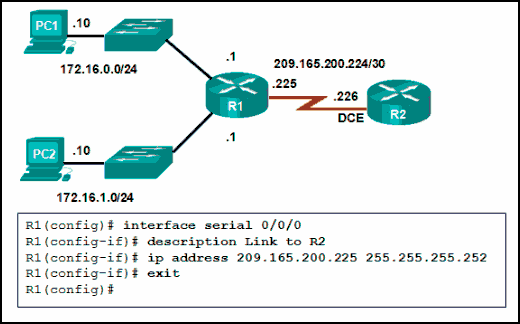 static route converted from a route that is learned through a dynamic routing protocol. static route shared btween two neighboring routers. 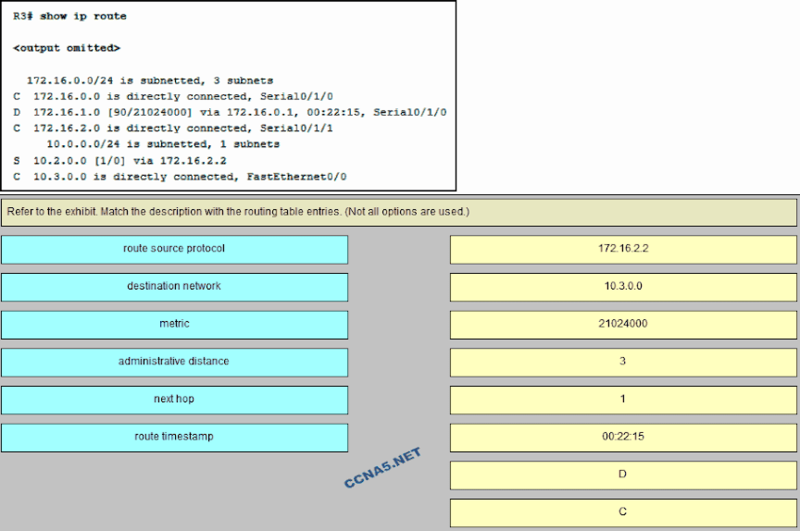 34. what is a characteristic of an IPv4 interface on a Cisco IOS router? If PC1 is sending a packet to PC2 and routing has been configured between the two routers, what will R1 do with the Ethernet frame header attached by PC1?